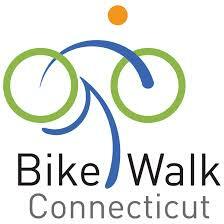 ﻿Bike Walk CT is offering another League of American Bicyclist-designed Traffic Skills 101 program, a comprehensive, day long course to give cyclists the skills, knowledge and confidence to handle on-road cycling. As a cyclist your skills and behavior on the road greatly affect your safety. Learn how to take control of your safety. INSTRUCTOR: Christopher Brown, League Certified Instructor (LCI). Advance Registration Required. Register HERE before midnight on September 9th. This class will sell out early, so don’t wait. TS 101 is a day long course consisting of approximately 4 hours in class and 4 hours outside, split between skill drills and an on-road ride. Among other things, you will practice starting, stopping, shifting and scanning, learn how to ride in traffic, including proper lane and intersection positioning, and crash avoidance techniques. You will practice all that you learn on brief road course. Successful completion of this course is a prerequisite for taking the League Certified Instructor course and other advanced league cycling courses. The course is offered rain or shine, and will include outdoor segments unless the weather is severe. We will ride in drizzle, but not in a t-storm. The class starts at 8 am sharp! Please arrive no later than 7:45 am. Class size is limited to 20, so register early! A minimum of 10 registrants is needed to hold the class. Sorry, no refunds unless the class must be cancelled.